Click on 1 of the categories above to view the designs. If you wish to purchase a piece from the collection, we offer PayPal, so we do not store any of your credit/debit card details for your peace of mind. You can place your orders whenever you wish, and we aim to post out the item within 2 working days. We like to believe that we have a high standard of customer service, if however you would like to return the item to us for whatever reason we would be happy to refund the purchase price providing the item is still in its original condition and returned as soon as possible. Please obtain a proof of posting when returning the item. However refunds are not offered on commissioned items as these are individually made to the customer's specification. 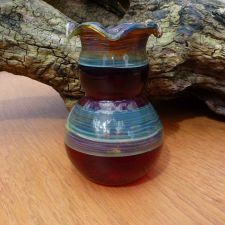 We base our prices on the cost of the glass which is imported (the ones that create those vibrant colours) from the USA and the time taken to lovingly craft each piece. Click on our Gallery to see previous designs. A very uplifting violet bauble with sublime white wig wag pattern which stands out beautifully. it can be used all year round as a window light catcher or a added to your Christmas tree during that festive period. 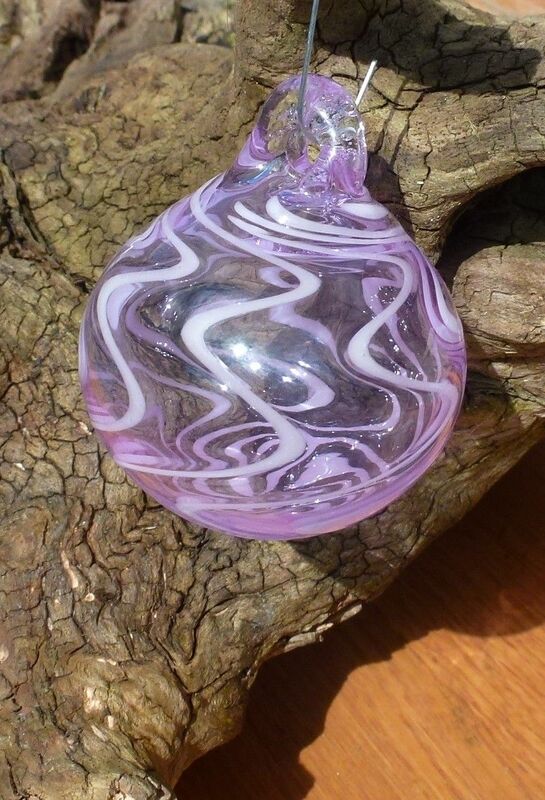 This unusual one off pink/black coloured bauble is hand blown in Borosilicate glass. It measures 6cm diameter and 6.5cm including the bail. Stand not included. Each beautiful free blown clear 3.5" bauble has double amber purple dots applied that have been twisted into spirals and kiln struck to develop the colour. Each bauble is an unique piece of art and the colours change in different lighting conditions and signed by Rob. Complete on Gold hanging elastic. Please note price is per single bauble. This pale opaque pink Borosilicate glass pendant measures approx 5cm long by 3.5cm wide and comes with a black silk necklace. It is made by the lampworking method and annealed in a digitally controlled kiln. 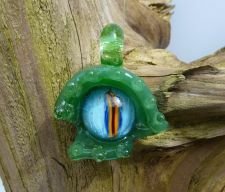 A small multi coloured eye pendant with pink slime eyebrows with blue undertone lower lid with an orange and yellow murini eyeball made by yours truly. Remember to order a thong or a chain. 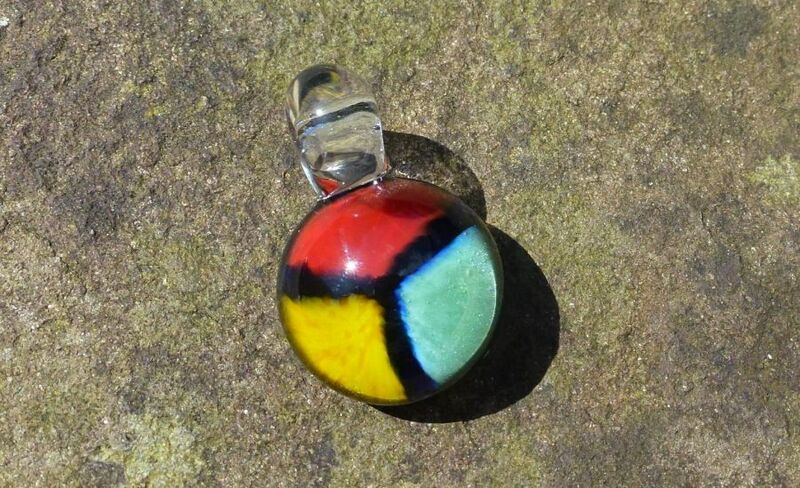 Red yellow green pendant on a clear bail with black back. Remember to add a chain or thong if required. A spiral of coral on a cobalt blue background. The chain is not included. Remember to add a chain or thong to the basket if required. A small sparkly unobtanium silver blue with a sparkle with a green spiral pendant. Remember to add a chain or thong to your order if required. 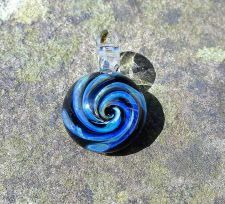 An eye-catching small rainbow spiral pendant, backed and hung on a pale opaque cobalt blue glass. 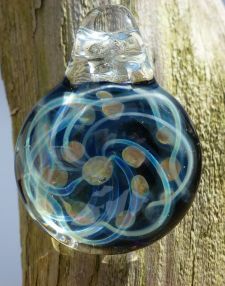 A heavily silvered spiral of blues and greens on a black background hung on a clear glass bail. Remember to add a chain or thong if required to your order. 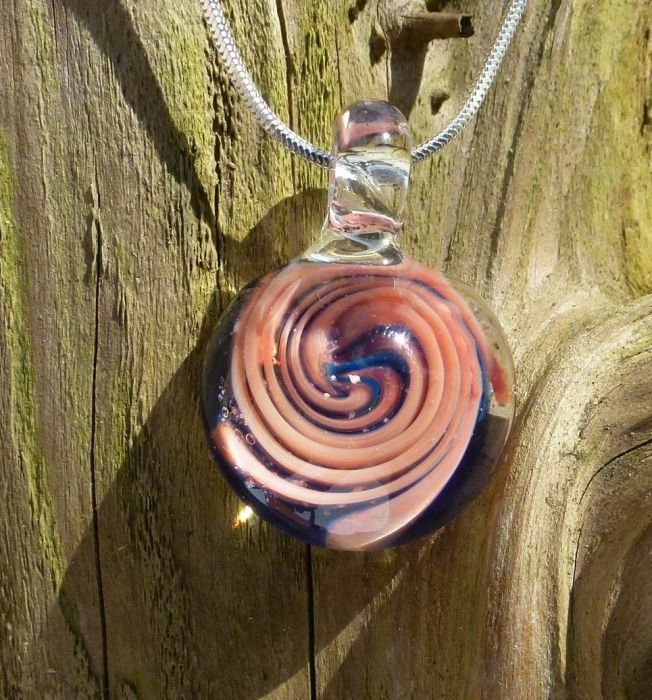 A lovely spiral wave pattern that has amazing multi colours that will match any outfit year round that's totally unique. Remember to add a chain or thong for your order if required. Brighten your space with the micro environment of a coral reef in a 32mm dia paperweight. 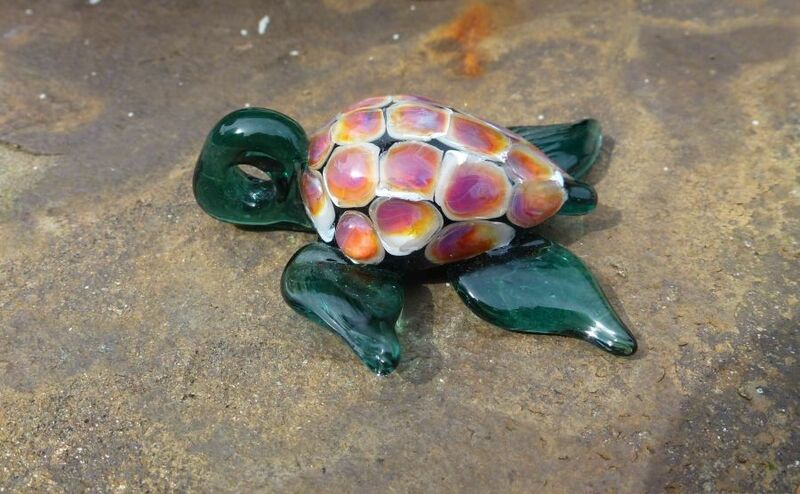 A delightful Green Turtle Pendant with a lovely double amber purple pattern on the shell. Please remember to add a chain or thong necklace if required! This piece is an example. Each pendants has same colours but no two are the same both size wise and pattern. Please remember to add a chain or thong to your order if required. 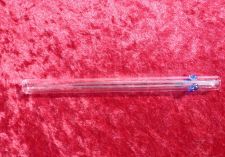 A multi coloured spiral in a sumptuously thick clear heart with cobalt blue back on a clear bail. Remember to add a chain or thong to complete your order if required. A lovely mint green paperweight backed with cobalt blue that makes the colour stand out. 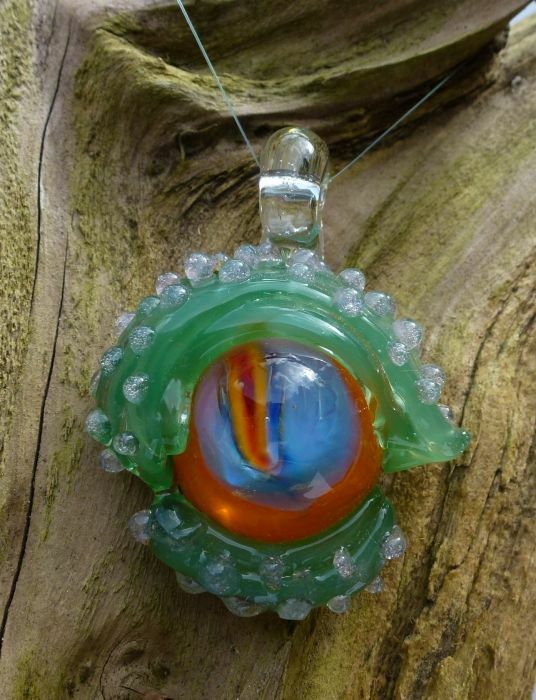 Unique Multi coloured pendant made of solid Borosilicate glass. Pink and green pattern with Cobalt blue background and clear bail. It measures approximately 3.5cm diameter and 5cm long including the bail. This highly colourful piece has to be appreciated in the hand as photos cant justify the depth of colour. Pale cobalt blue background, potash stars and double amber purple spirals. Don't forget to order a chain or thong if required. A lovely 25mm diameter blue galaxy spiral captured inside a pendant with planets and stars. A blue blizzard spiral galaxy has spirals of mega mai tai which is a lovely purple colour with lots of violet silvery hues. 40mm drop x 25mm dia. 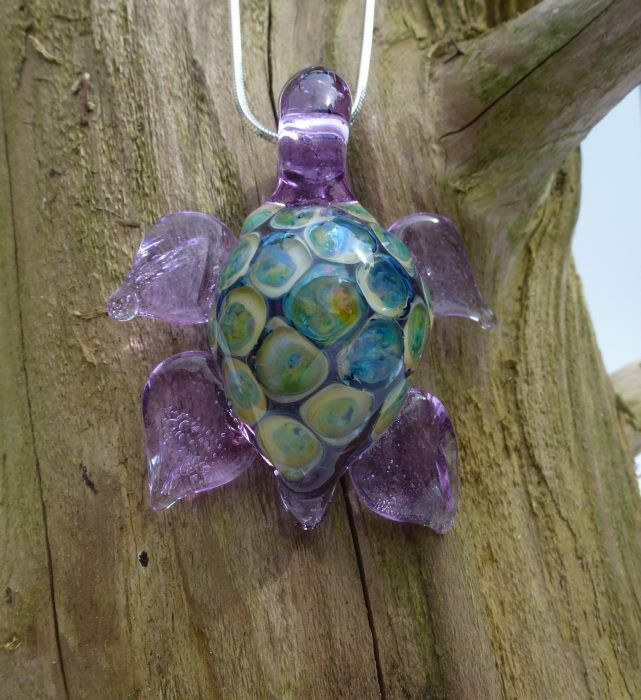 A lilac turtle pendant (no face) with highly iridescent blue green shell pattern. 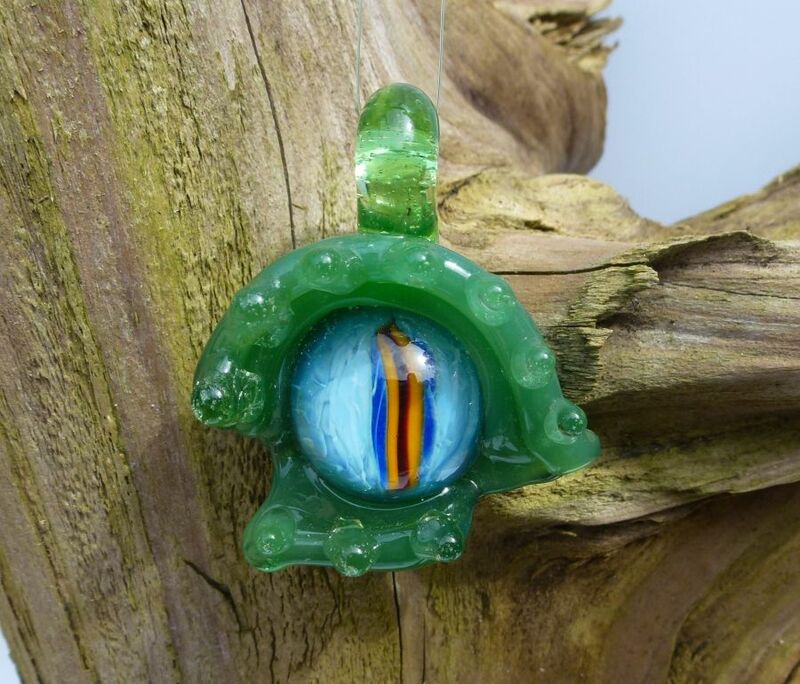 A bold minty green Dragons eye hanging from an opaque green bail. The cornea murine is by Rogan Glass and stands out superbly. Remember to order a chain or thong if required! This beautiful red flower on an amber background and bail is a wonderful piece to wear with most outfits. Remember to order a chain or thong if required. 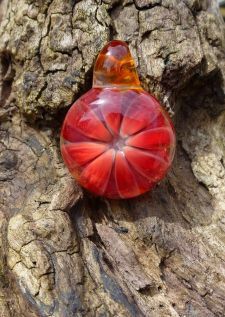 A lovely red elvis and silvered glass blown using the el calmo technique. The glass changes colour in differing lighting conditions as can be seen in both photos. 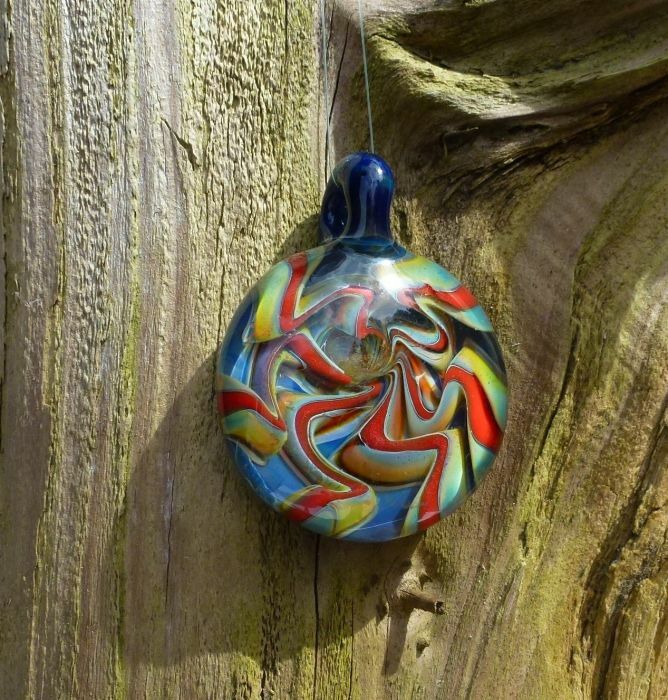 An unique piece with lots of 3dimensional multi colour ribbons imploded into this beauty. Remember to order a chain or thong as not included. This unique pendant has a black background dotted with planets with amazing silver fumed trails that bring a 3d look to this piece. 35mm dia, 50mm drop, 15mm deep. Please order chain or thong if required. 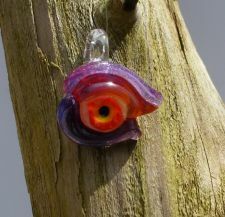 A green Dragons eye hangs on a clear bail has pink dotted scales on green with a piercing firey orange eye with a complex eye murine of lilac blue orange with red slit pupil. made by moi! 40mm wide x 38mm 50mm drop. Remember to add a thong or a chain as not included. 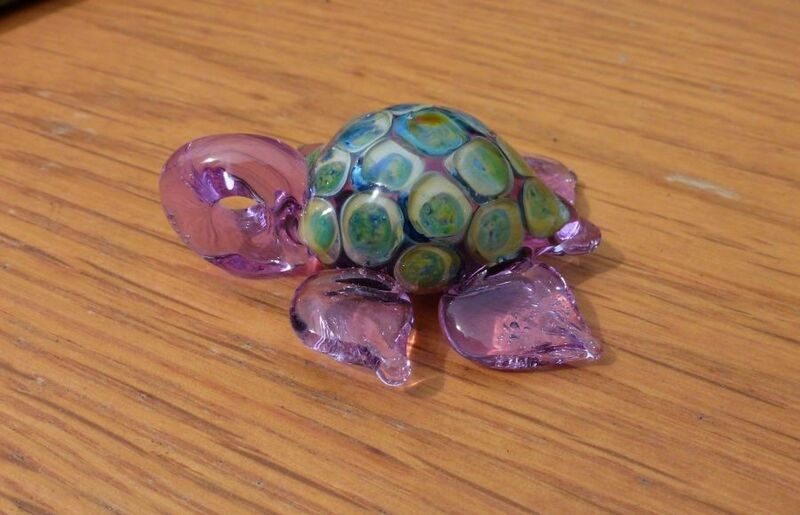 A lovely red Turtle with a lovely caramel and blue implosion formation inside. Remember to add a chain or thong if required! A lovely Turtle pendant with double amber purple fins and head with an awesome green implosion feature inside. Don't forget to add a chain or thong if required! 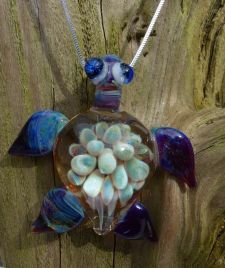 This lovely representation of a turtle has turquoise fins tail and head with a shell covered in double amber purple that really shines on a sunny day. A fab conversation piece this unique skull pendant is. 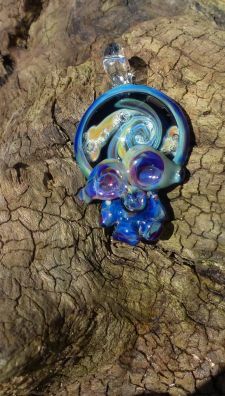 A spiral galaxy spiral blissfully sits inside a skull of silvered cobalt blue glass that has lots of different coloured hues to it. 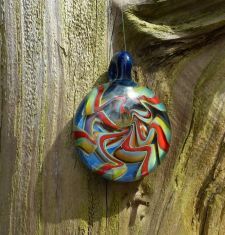 This striking large drop pendant has multi colours running through it with a dark cobalt blue back. A lovely eye catcher for the summer. A lovely point of interest this paperweight and indeed unique. Its a sea anemone on a black sandy sea bed that makes the piece stand out. A lovely piece to brighten anyone's desk top. A lovely addition for the glass collector. 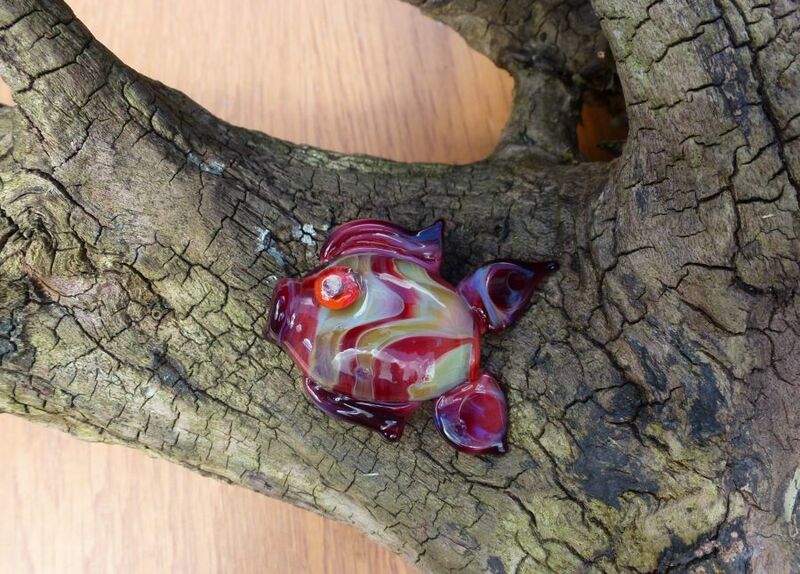 A fantastic implosion of Amber purple that makes this piece look like fire. Blue Spiral Galaxy Skull Pendant. A deep spiral galaxy is contained in the skull hung on a clear glass bail. A fab conversation piece this skull is. 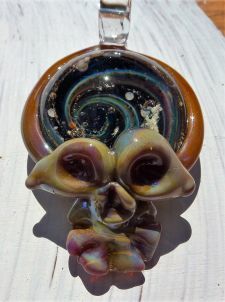 A spiral galaxy spiral blissfully sits inside a skull of Carmelo glass that has lots of different hues on it. Cymro is Rogan Glass' character of The Red Dragon of Wales. 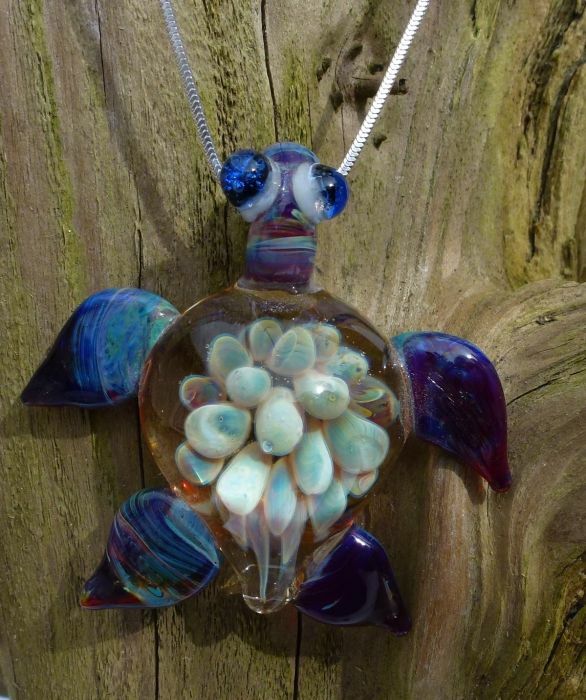 Hand sculpted from borosilicate glass on the Gower in his home country of Wales. Cymro #15 is depicted about to fly from a cobalt blue paperweight. The piece is signed on its base. 4.75" tall x 4" nose to tail tip. This Octopus is made using layers of glass and all pulled from a single lump of glass no moulds used just a pair of scissors and gravity. The piece shown is for display only and made on commission basis only. 3 week turnover 4" diameter. This delightful cremation ashes glass bone is made with love in honour of your pet dog. 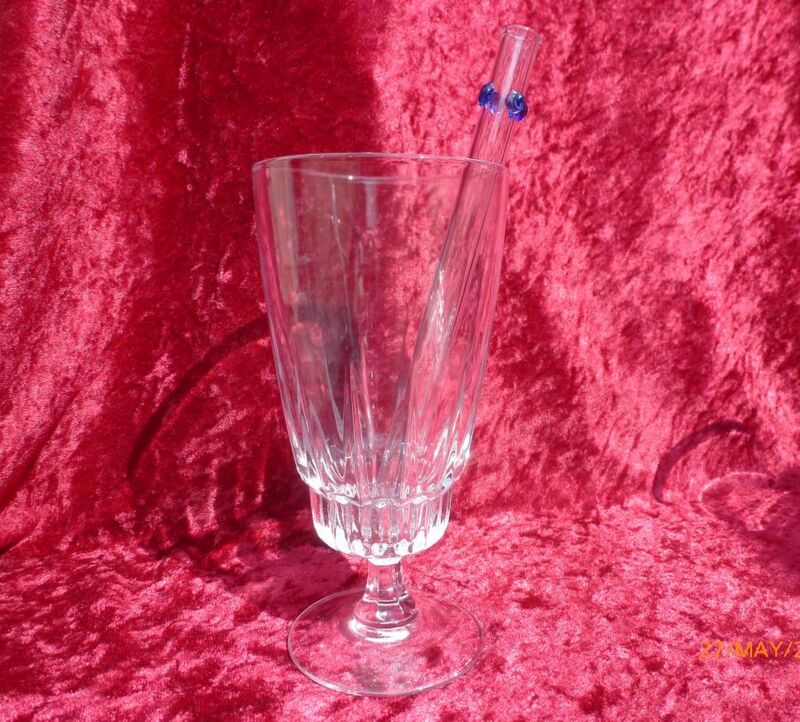 The clear bone contains a pale pink/lilac swirl and is also available with a baby blue swirl. It measures approximately 6cm long. Small Spiral Galaxy Cremation Tribute Pendant. 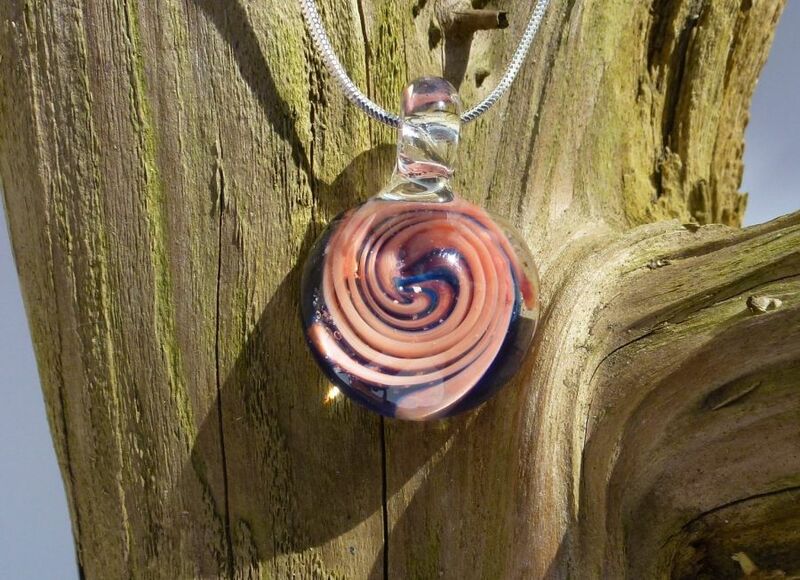 A lovely example of a 25mm Spiral Galaxy Cremation Pendant. All unique, no two are ever the same. 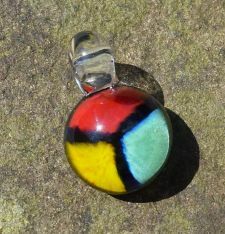 This item is for display purposes but for sale on the pendant page. The white speckled elements in the piece are ashes representing stars. Silver crystals give the purple elements that are grown in my kiln. remember to add to your order the type of chain or thong required for your piece if required. 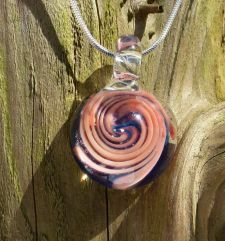 Large Spiral Galaxy Cremation Tribute Pendant. This translucent red and soft lilac pendant comes with an 46cm (18") sterling silver snake chain. The measures approximately 3cm diameter. 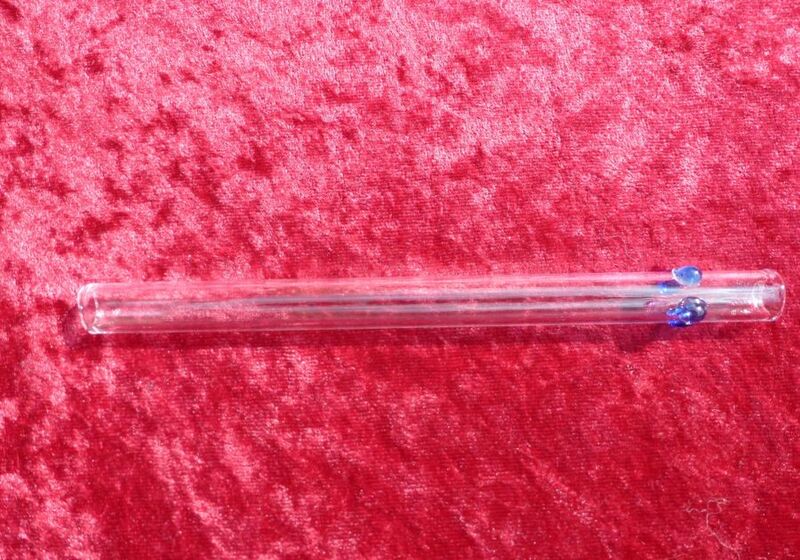 It is 4.5cm long including the clear bail. If you would prefer the pendant without the chain please e-mail us before ordering. A fitting tribute to a loved one. 3 week turnover 6" diameter. These rich cobalt and azure blue mini paperweights measure approximately 5cm diameter x 2cm deep or 4cm diameter x 3cm deep. Please e-mail us with your preference. This lovely Peacock Chamelion borosilicate glass Octopus is available to order only at the moment. Price depends on size. £30 - £100. The turnaround is approximately 2 weeks from placing the order due to current work commitments. Please e-mail me with your size requiremetns and I can confirm the price. When the piece is ready I will e-mail you a photograph. It will then be available for you to pay on this shop. Please note the size of the one shown is approximately 11cm long and 8cm high. (The one in the picture is not for sale but the price reflects the size). Click on picture for a closer look. 3 week turnover 8" diameter.